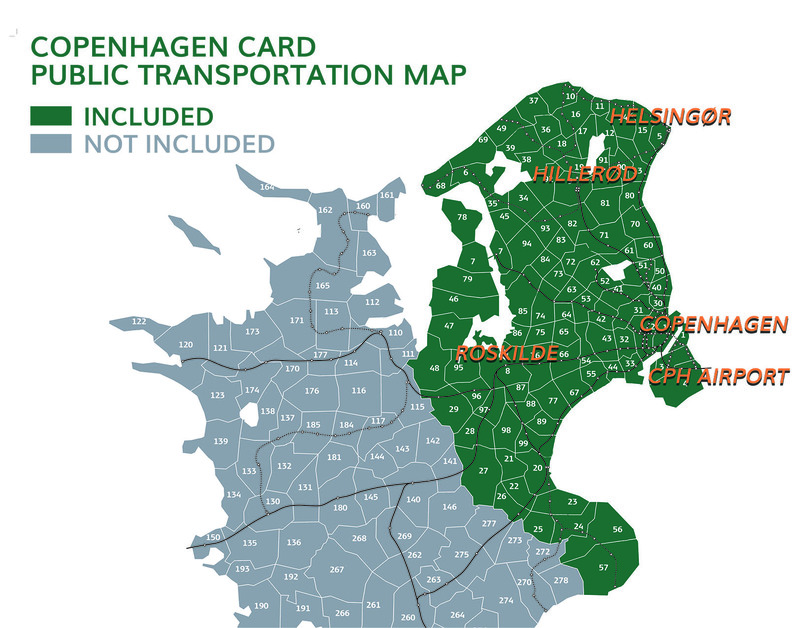 With a Copenhagen Card in hand, you don’t have to worry about traffic zones and ticket prices, as you get unlimited travel on trains, buses, metro and harbour buses throughout the entire capital region, including to and from the airport. Copenhagen’s metro runs from Vanløse to the outskirts of the city via Copenhagen city center to the airport and Vestamager. It runs round the clock seven days a week, and there are only 2-4 minutes between trains during rush hours and 3-6 minutes outside rush hour and on weekends. At night there are 7-20 minutes between trains. You can bring a bike in Metro, but not in rush hour and you need a bicycle ticket. The S-trains (s-tog) are inter-city and run between 05:00 in the morning and 00:30 at night. Line F runs every 4-5 minutes, line A, B, C and E run every 10 minutes, and line H and Bx run every 20 minutes. On Friday and Saturday, the trains run once an hour between 01:00 and 05:00, while line F runs every half hour during these hours. There are also the regional trains that take you to parts of Denmark outside Copenhagen. These go beyond the zones of the s-tog network but operate on the same zone system when closer to the center. These are the grey lines on this map. You should take the regional train to Roskilde and Helsingør. Take the Regional train from Copenhagen Central Station towards Orehoved, Slagelse, or Kalundborg. All regional trains stop at Roskilde station. The Regional train towards Roskilde runs every 10-20 minutes. Transport time is approx.. 25 minutes. Take the purple E line from Copenhagen Central Station platform 9-10 towards Hillerød st. Hillerød is the end station on the E line. The E line runs every 10-20 minutes. Transport time is approx.. 45 minutes. Take the Regional train from Copenhagen Central Station platform 1 towards Helsingør st. Helsingør is the end station. The regional train towards Helsingør runs every 20 minutes. 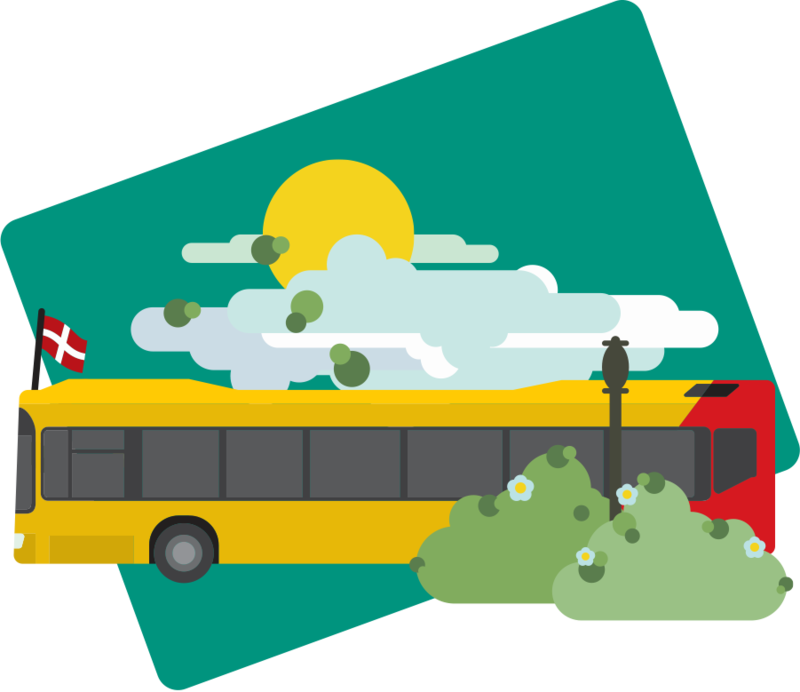 Copenhagen Card cannot be held liable for changes in timetable issued by DOT.